Taherally’s, a collectibles shop in Mumbai takes you back in time with its period furniture and furnishings. With many outlets in Mumbai including one in Chor Bazaar, we visited the one-year-old spacious store in Lower Parel and were not disappointed. Housed in Kohinoor Building in Sun Mill Compound, this sprawling store has an air of mystique around it. For a brand that’s been around for 60 years now, they are a little like treasure-finders who have dug up antiques from all over India and the world. 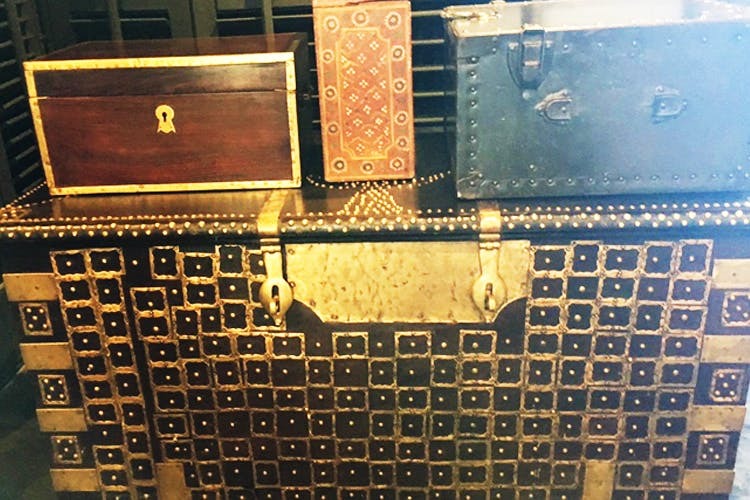 From French silverware to large Chinese woodwork cupboards, brass floor fans and wooden trunks, we found eclectic pieces that would make a large, bold statement whether you put them. We even found a miniature American pool table, leather suitcases, plaid trunks and a bear-shaped ashtray. The prices depend on each item, which is unique. In fact, they will even help you source different items if need be. Make your home look like the set of an Austen novel, and visit Taherallys. Carry a budget and a keen eye along with yourself for best results.